0:33:00: The mother discovers that her publishing company's book has a typo. to read the book aloud to a public gathering of kids at a local bookstore. to the bookstore in time to stop Mr. Van Dyke from reading the book. In that scene, she is heading west on the north sidewalk of Colorado Blvd. When she gets to the bookstore (above) the signs read "Book Soup", but don't believe it. Book Soup is indeed a real bookstore, and it's known for its celebrity book readings. However, this isn't it. The real Book Soup is located on Sunset Blvd, in West Hollywood. This is actually Vroman's Bookstore, at 695 E. Colorado Blvd, in Pasadena. 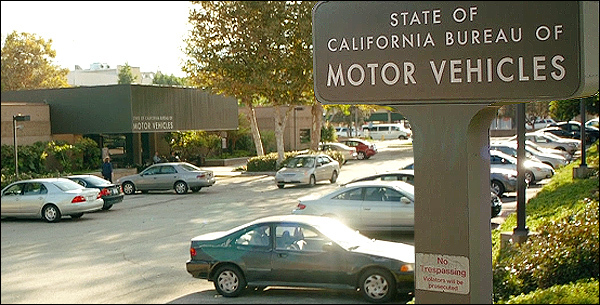 0:40:25: The family drives the older brother to the DMV so he can taking his driver's test. the screencap above is actually the clinic's west side, which faces E. Villa Street. Here is a matching Google StreetView of that building. control of the car, and it smashes into the curb several parking meters. at the southwest corner of Villa Ave & Lake Ave, in front of that DMV / clinic. Here is a Google StreetView of that accident corner. The parking meters were props, there are no real meters at that corner. the brother has to have the family drive him to his snobbish girlfriend's house. The address is 1254 Boston Street, in Altadena, CA. Altadena is a residential town just to the north of Pasadena. a Japanese restaurant ((similar to Benihana) where they cook food at your table. show up and rave about it, and then she pretends to love it. at the same restaurant, and he is stuck wearing a ridiculous, puffy pirate shirt. and then accidentally sets his puffy sleeves on fire. The photos on this page are stills from "Alexander and the Terrible, Horrible, No Good, Very Bad Day"
(which you can buy by clicking here) and are copyright the Disney Co.